This is Sal Tripodi's LAST YEAR presenting the ERISA Update Seminar in Honolulu! TRI Pension Services will present the 20th Annual Hawaii Seminar on November 20-22, 2019. The seminar is at the Sheraton Waikiki in Honolulu. The ERISA Update Seminar focuses on "hot" pension topics and current developments. The agenda also includes topics that were requested in a survey taken of attendees at prior years' programs. Registration will be at 12:30 pm on Wednesday, November 20th, with the seminar running from 1:00 until 5:30 p.m., and a cocktail reception immediately following. Breakfast is provided on Thursday and Friday, beginning at 8:00 a.m. Registration is subject to the cancellation terms described below. If you will need hotel accomodations, you are responsible for making your own reservations. 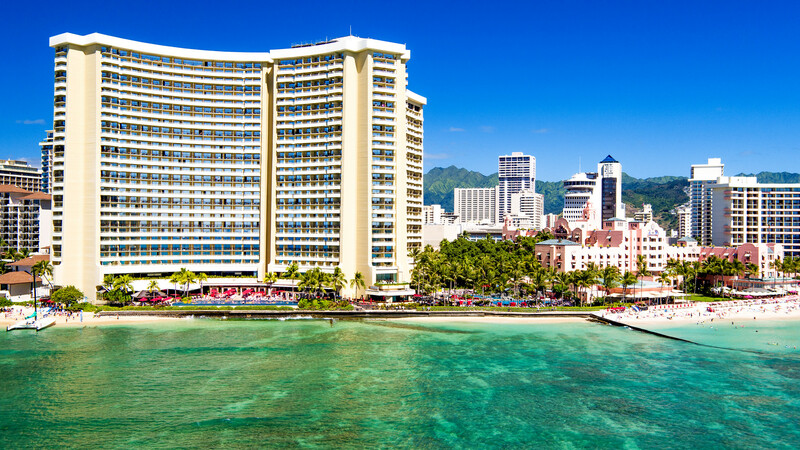 However, we have arranged a block of rooms with the Sheraton Waikiki. The hotel is offering a rate of $290 per night ("Resort View") or $310 per night ("Partial Ocean View"). There also is a $15 per day resort fee. The room pricing is available for the 3 nights prior to each of the seminar days (Nov 19, 20 and 21) as well as the 3 nights before (Nov 16-18) and the 3 nights after (Nov 22-24). To reserve on the Room Block please call the Sheraton in-house group reservation desk at 808-921-4611, and reference the TRI Pension Services Seminar (group code TR3395). The desk hours are 9 a.m. - 7.p.m. PST (M-F), 10 a.m. - 6 pm PST (Sat). Please call 1-800-782-9488 when calling other times, using the same group code reference. We suggest you try to book as early as possible as the number of rooms in the block are limited. If you encounter an inability to book under the room block, please contact us at 303-470-7964. We will try to get the block expanded. Registration includes materials. Materials for the seminar are provided ONLY in electronic format (PDF files). They will be e-mailed approximately 1 week before the seminar. Registrants may choose to bring the materials in electronic form (laptop, electronic reader, tablet) or to print out the materials. There will be power outlets available in the meeting room for those that wish to have the materials loaded on a laptop. This session administrative and compliance issues relating to rehired employees, including: (1) 401(k) enrollment and re-enrollment; (2) disclosure requirements, (3) service crediting issues (years and service credits and breaks in service consequences), (4) vesting rights, (5) benefits rights (6) military service absences (7) inclusion in coverage and nondiscrinination testing, (8) distribution issues. 2:40 p.m. to 2:50 p.m. Break. This session will explore the definition of an affiliated service group, including an "A-Org" Group, a "B-Org" group and a "Management Service" Group. The session will also discuss what to do about overlapping affiliated service groups, and the consequences of having an affiliated service group relationship. —Guest Lecturer. The Affiliated Service Group Session will be presented by Brian Furgala, an attorney with Ft William. 4:20 p.m. to 4:30 p.m. Break. 5:30 p.m. to 7:30 p.m. Cocktail Reception. Enjoy some pupus while chatting with your fellow attendees. Day 2 is spent on a review of all important current developments (e.g., legislation, regulations, IRS/DOL/PBGC guidance, and court rulings) over the last 12 months, with emphasis on how these current developments affect plan design, plan administration, or enforcement issues. This session will focus on the availability of IRS review procedures during the life of the plan, starting with the inception of the plan, periodic amendments to the plan, and the ultimate termination of the plan. DIfferences in procedures or rules between individually-designed plans and Pre-Approved Plans also is discussed. —Guest Lecturer. The IRS Review and Approval Session will be presented by Brian Furgala, an attorney with Ft William. 10:10 a.m. to 10:20 a.m. Break. The alphabet soup of correction programs available through the IRS and the DOL is the topic of this session. The discussion will address; (1) when to use self-correction (SCP) and when to apply for relief from the IRS (VCP), (2) the pros and cons of using the VFC Program, (3) late 5500 corrections through DFVC, (4) recommended correction methods under EPCRS, (5) Anonymous Submissions under VCP, and (6) when tax relief is available. 11:40 a.m. to 11:50 a.m. Break. The program qualifies for 15 credit-hours of continuing education for Employee Plans Retirement Agents (ERPAs), enrolled actuarias (JBEA), ASPPA members and NIPA members (based on 50-minute hours). TRI Pension Services is an IRS-approved continuing education provider (Provider #UE6UJ). ERPA credits. The course provides 15 ERPA credit hours. We include Ethics credits only in even numbered years, so this year's program will NOT include Ethics credit. We have entered into an agreement with the Office of Professional Responsibility, Internal Revenue Service, to meet the requirements of 31 Code of Federal Regulations, sections 10.6 and 10.9 (Circular 230), covering maintenance of attendance records, retention of program outlines, qualifications of instructors, and length of class hours. This agreement does not constitute an endorsement by the Office of Professional Responsibility as to the quality of the program or its contribution to the professional competence of the Enrolled Retirement Plan Agent. For persons seeking ERPA credit, sign-in and sign-out procedures are required. A certificate of completion will be presented to ERPAs via email. ERPAs are required to provide their ERPA enrollment numbers and, if applicable their PTINs. JBEA. TRI Pension Services is a qualifying sponsor for continuing professional education for enrolled actuaries. We have determined that the program qualifies for 11 core credits and 4 non-core credits, in accordance with Treas. Reg. §901.11(f).